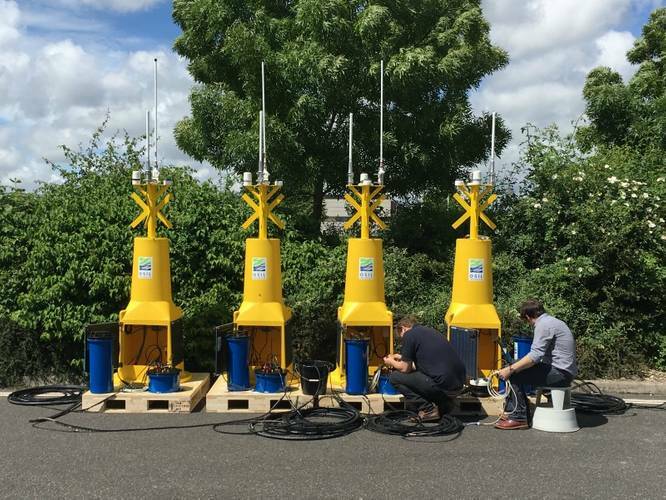 Data buoy manufacturers Ocean Scientific International Ltd (OSIL) have supplied eight buoy platforms to Jan De Nul Group, experts in dredging, marine construction and specialized services to the offshore oil, gas and renewables industries. The 1.2m buoys will be used on dredging or renewables projects as platforms for environmental monitoring. Each buoy incorporates a variety of sensors from different manufacturers, including AML Oceanographic, Campbell Scientific and Nortek, with specialist seabed frames for current monitoring work. OSIL said it worked closely with Jan De Nul Group to establish and meet the exact requirements of the systems and the rapid delivery times necessary, and the buoys are uniquely configured to quickly and easily swap between Iridium, UHF and GPRS telemetry methods depending on what comms systems are available at the current or future installation locations. Data from the buoy systems are emailed to Jan De Nul project workers, and the low power telemetry solution ensures a constant flow of data from the sensors while allowing remote control of measurement interval and data reporting schedules. 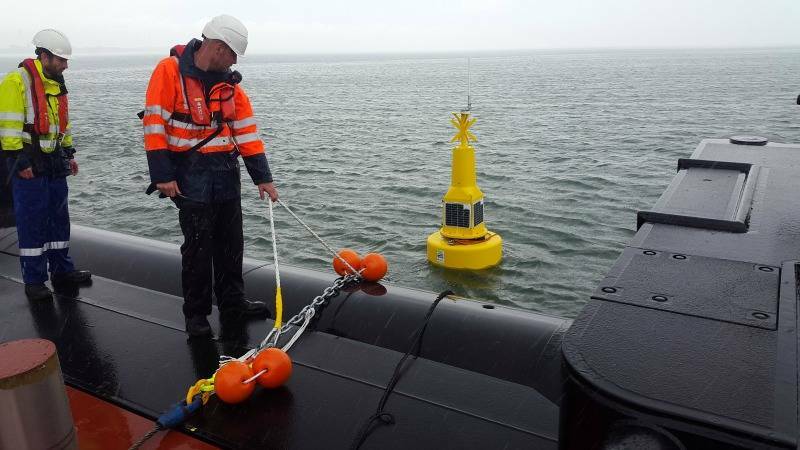 The 1.2m buoys are robust and stable platforms for use in mixed coastal environments and can be moored in a variety of water depths ranging from 3m to 50m, the manufacturer said. The hull and top frame are manufactured from rotationally molded polyethylene, with the hull being filled for added security. The top frame accommodates 4 solar panels, a built in radar reflector and a St Andrews Cross that can fit a wide range of antennae, light and met sensor combinations to suit requirements.